Mr. Willie Edward Mclean, 86, of Radcliff, KY, died on July 11, 2018 at the Carl M. Brashear Radcliff Veterans Center. Mr. McLean was a native of Lillington, NC and the son of the late Everette and Stella McLean. 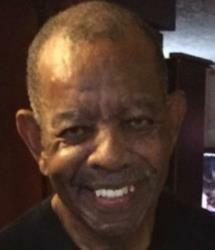 He was a member of New Hope Baptist Chuch and retired from the U. S. Army. He was owner of McLean Services. In addition to his parents, he was preceded in death by two brothers, Alvis and Larry. He is survived by his wife, Mary McLean of Radcliff, KY; three sons, Jeron McKoy (Veronica) of Sanford, NC, Anthony McLean of Chula Vista, CA and Andre McLean (Wendy) of Louisville, KY; four daughters, Patricia McKoy of Buies Creek, NC, Angela McLean of Elizabethtown, KY, Audrey Bunton of Spokane, WA and Adrienne Larson (Richard) of Niceville, FL; four brothers, James McLean of Silver Springs, MD, Joe Louis McLean (Doris) of Raleigh, NC, Tony McLean (Mildred) of Columbia, SC and Leverne Armstrong (Nancy) of Ukiah, CA; one aunt, Bertha McLean of Lillington, NC; 8 grandchildren and 8 great grandchildren. Funeral service will be held on Wednesday, July 18, 2018 at 1:00 pm at New Hope Baptist Church in Radcliff, KY with Revs. Christopher Johnson and O. C. Jones officiating. Burial will follow in Kentucky Veterans Cemetery Central. Visitation will be from 4:00 - 8:00 pm on Tuesday, July 17, 2018 at New Hope Baptist Church in Radcliff, KY.
Mary, I'm so sorry for your loss! Lifting you and your family up in prayer!! To Mary McLean and Family, our thoughts and prayers are with you during this time of your bereavement. May God Almighty give you the strength and comfort you need today and in the days ahead. Weeping may endure for a night, but Joy cometh in the morning, Psalm 30: 5. Be blessed!